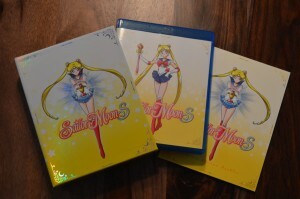 Sailor Moon S Part 1 is finally out on DVD and Blu-Ray! These sets were released on November 15th and are available from stores and online retailers. 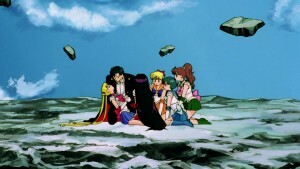 This was also the first time Sailor Moon S episodes were released with Viz’s new English dub. With other releases some of the episodes came out prior to the home video releases on Hulu but this was not done this time around. Support the site by buying the set with the links below. 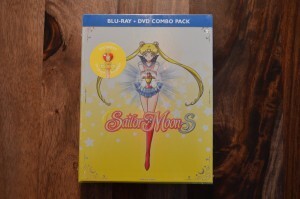 This could be a nice Christmas gift for a Sailor Moon fan in your life! There are a number of options to purchase it. I got the Limited Edition Blu-Ray set, which comes with a number of extra I’ll get into below. You can also get the regular edition Blu-Ray or DVD releases or, if you’re not into physical copies, you can get the series from Amazon Video. Previous releases were available in standard definition and HD from Amazon Video but this release is only available in HD for $39.99 for the season. As with other sets I have pretty much the same to say. A good effort by Viz and some nice packaging, decent extras and a nice looking booklet but ultimately the set suffers from poor video quality likely mostly due to the fact that they had bad masters. Since it’s been so long since these episodes have been available here in North America and this is the only way to hear the new dub, fans will probably want to check it out. I didn’t watch the entire set yet, but did watch it a bit to get an idea of the dub and video quality. I watched episode 96, Cold Hearted Uranus? Makoto in Trouble, specifically because it had a lot of lesbian references and if there was anything changed on the set this is the kind of episode we’d likely see changes in. I also had a taped off of Japanese TV fansub of this episode years before I got around to seeing the whole season so I was more familiar with it than others. All around I was quite pleased with the dub quality. While I miss the old cast I think the new actors do a decent job of providing an accurate dub of the show. 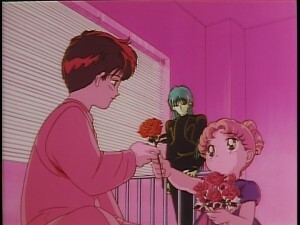 References to lesbianism weren’t glossed over, though they are mostly heavily hinted at rather than outright stated even in the original version of the show. The only real change I noticed is that Rei referred to her magazine with a moustached woman on the cover as her “First edition Sailor Dudettes” which is just kind of weird and not consistent with anything from the original Japanese version. 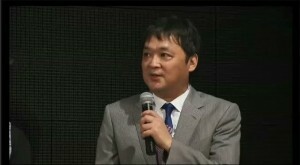 Original Japanese credits are used. The Sailor Moon S credits changed throughout the series and here we see different intros being used as different characters are introduced. This was a change from the Pioneer and Geneon releases of the series that always used the same opening theme throughout the series. 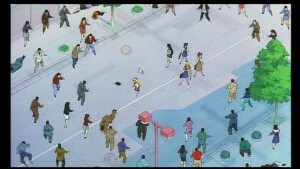 The “today on Sailor Moon” clip plays after the opening credits rather than before it as with the Japanese TV airing of the show and Japanese releases. A minor change all considered. The video quality isn’t great. 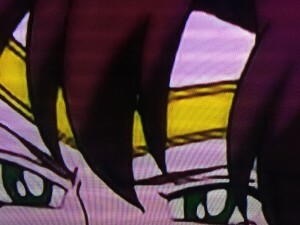 Viz appears to have gotten a fairly low quality standard definition interlaced video source. They upscaled it to 1080p using software and then used some filters to try to clean it up. What we’re left with is a fairly poor job which leaves us with video quality that is worse than what we’ve seen with the Japanese releases which I still use as the gold standard for quality for the series. Other releases, like the Italian and French releases, weren’t perfect but look better than this. Some people say it’s worse than VHS, but I think some people don’t remember the days of VHS! Still I think a faithful straight standard definition DVD version of this release would have looked better than what we got, but this is quite subjective. Viz does a good job with other series for which they have better masters. Their Sailor Moon Crystal release was fantastic looking. Because of this I am quite confident that they tried their best with what they had to work with but can only do so much. 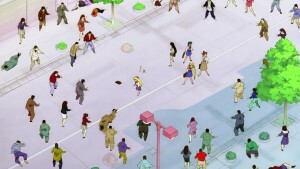 There are obvious artifacts from interlacing which are mostly visible between narrow lines which can be seen for tiaras and uniforms throughout every episode. 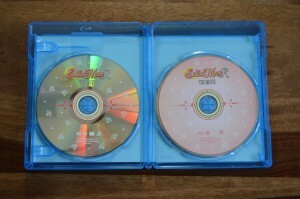 There are some extras on the Blu-Rays, mainly about the new cast, which are not on the DVDs. 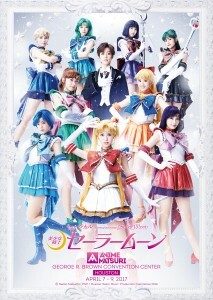 The main feature is the “Sailor Moon Day 2016 Interview with English Cast”. 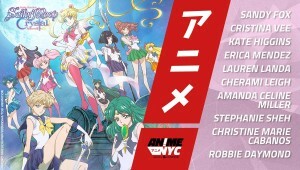 Included in this interview are Ben Diskin, Umino, Cristina Vee, Sailor Mars, Amanda Miller, Sailor Jupiter, Robbie Daymond, Tuxedo Mask, Stephanie Sheh, Sailor Moon, Cherami Leigh, Sailor Venus and Sandy Fox, Chibiusa. The rest of the extras are kind of lame. There are short galleries with some images for the characters. Clean opening and ending themes, that being without any credits, include the final version of the opening and the end theme Tuxedo Mirage. The trailers are similar to what we’ve seen in other releases which are ads for other Sailor Moon releases and other anime series released by Viz like Ranma 1/2 and Inuyasha. The booklet which is included is quite nice. 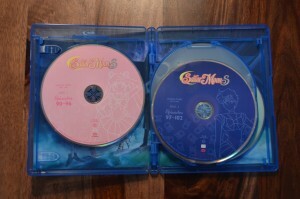 There appear to be 96 pages, which aren’t numbered, and this includes episode summaries for each episode, including those from the currently unreleased second part of Sailor Moon S, credits, lyrics, character art and bios. It also includes an ad stating that Season 3 Part 2 is coming in Spring 2017. After long delays in this release let’s hope the next one comes as quickly as they say! The outer box made of sturdy cardboard has room for the second set, as other releases did. Overall I’d recommend this set if you’re looking to see the new dub. Since these episodes are not available to stream in English anywhere, this is the only way to get them legally. The quality isn’t great but it’s watchable if you don’t mind a Blu-Ray that looks worse than a lot of DVDs. 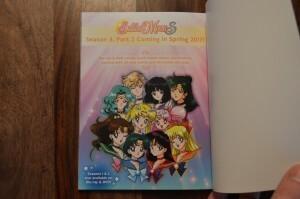 The booklet is a nice extra but the bonus features on the set aren’t terribly fantastic. I’m not sure my recommendation matters much though. If you bought the other sets you’ll probably buy this one and if you didn’t, you probably won’t. Viz has been somewhat consistent with the quality of their original series releases. Though quality issues have improved a bit, the release is still in the same general ball park as the others. Keep reading for more images of the packaging and the special booklet. 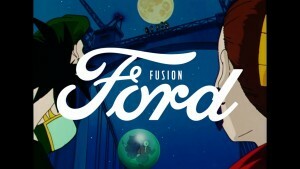 Ford has release the latest in their Overdubs series of commercials and this one features the entire cast of Sailor Moon. 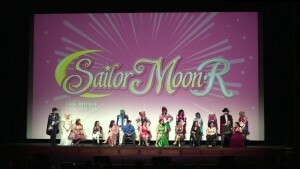 We previously reported on the first commercial, starring Stephanie Sheh and Michelle Ruff as Sailor Moon and Luna. 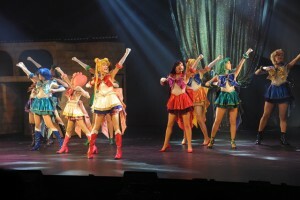 This one has Stephanie Sheh as Sailor Moon, Kate Higgins as Sailor Mercury, Cristina Vee as Sailor Mars, Amanda C. Miller as Sailor Jupiter and Cherami Leigh as Sailor Venus. Watch the clip below. 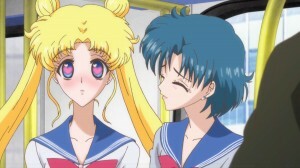 The latest episode of Sailor Moon Crystal has been released in English on Hulu and Neon Alley. 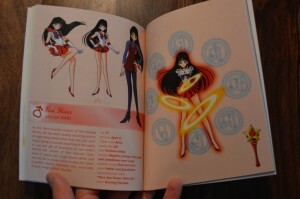 This week we get Act 3, Rei – Sailor Mars, which introduces us to the third Sailor Guardian Rei Hino. Fans of the original Sailor Moon anime will notice this is quite similar to episode 10, The Cursed Bus: Enter Mars the Guardian of Fire, though there are still some differences. 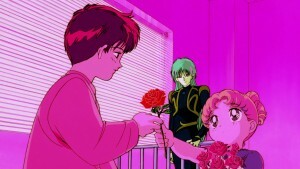 Usagi has a more obvious crush on Rei in this show. The manga, and Sailor Moon Crystal which is very faithfully based on it, progresses at a much faster pace than the original anime. We will be seeing a one to one ratio for manga chapters to episodes of this show as we progress through the 13 episode Dark Kingdom story arc. 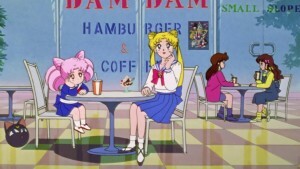 As with other episodes this has the improved animation from the Japanese Blu-Ray and DVD release of the show. The changes are minor, but some that viewers of the streaming version may not have seen yet. 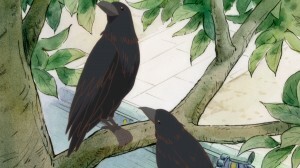 For my full thoughts on this episode read the review I wrote when the episode first became available to stream in Japanese. Next Friday, December 4th, is Sailor Moon Crystal Act 4, Masquerade Dance Party. 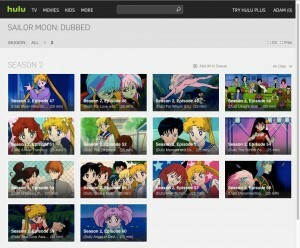 It looks like dubbed episodes of Sailor Moon Crystal will only be available later in the evening, unlike what happens on Monday mornings for the subtitles episodes of the original Sailor Moon anime. English fans will finally be seeing the first of Sailor Moon Crystal’s Sailor Mars as the latest dubbed episode is released on Hulu and Neon Alley this Friday, November 27th. 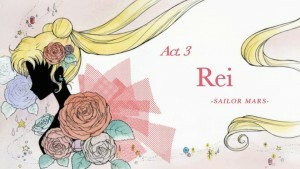 This week we get Act 3, Rei – Sailor Mars. 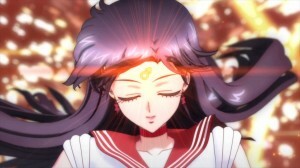 Rei Hino will be voiced by Cristina Vee who voiced her in Viz’s new dub of the original Sailor Moon anime. 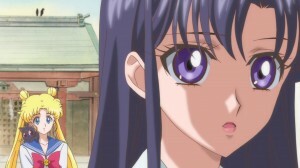 All other actors from Sailor Moon Crystal are also reprising their roles. You can follow Cristina Vee on Twitter at @CristinaVee. I don’t exactly at what time of day the episode will air. 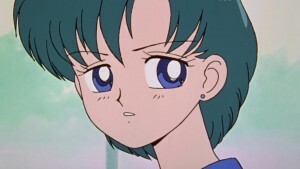 The subtitled episodes released on Monday always come out early in the morning however we didn’t get the first two English Sailor Moon Crystal episodes until late last Friday evening to coincide with Moonlight Party 5. That was around 6pm Pacific Time, 9pm Eastern Time. So much to say if the episode is not up first thing in the morning do not panic. Viz still plans on releasing the episode at some point on Friday November 27th. Celebrate Black Friday in style with Rei’s crows Phobos and Deimos. 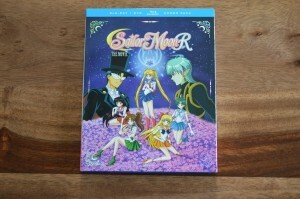 Support the site by preordering Sailor Moon Crystal on DVD or Blu-Ray using the links below. 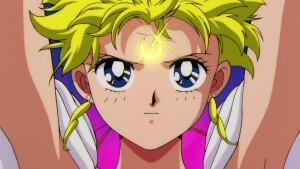 You can now watch the first 14 episodes of Sailor Moon R on Hulu and Neon Alley. 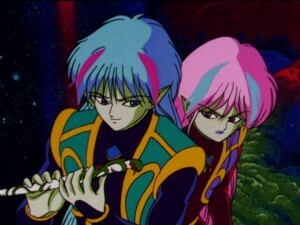 This includes the entire Makai Tree story arc as well as the first episode featuring Chibiusa and the Black Moon Clan. Like with the previous releases of dubbed episodes on Hulu these will only be online for a limited time. They will be removed on June 7th 2015. 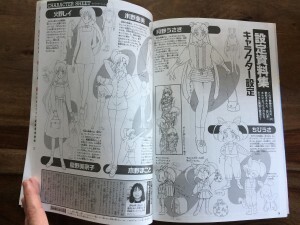 Episodes 47 to 59 are a non manga story arc focusing on the characters of Ail and An, aliens posing as humans Seijuro and Natsumi. They arrive on Earth with the Makaiju or Makai Tree and proceed to drain human energy to feed it and keep themselves alive. Episode 60, Angel or Devil? 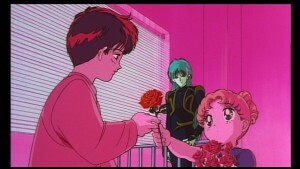 the Mysterious Girl from the Sky, is the first episode to feature Chibiusa and the Black Moon Clan. 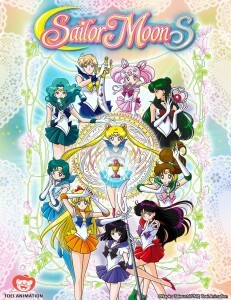 The episodes included are somewhat strategic, meant to showcase a wide variety of voices and get us excited for the upcoming DVD and Blu-Ray release of Sailor Moon R. Sailor Moon R Season 2 Part 1 collects episodes 47 to 68 and is set to be released on July 14th. It can currently be pre-ordered from The Right Stuf. One notable inclusion is episode 54, The School Festival Is for Me?! 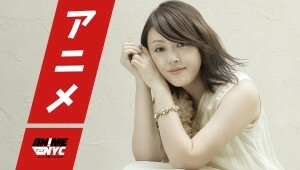 Queen Rei’s Song, which includes a couple of songs as performed by Rei’s voice actor Cristina Vee. 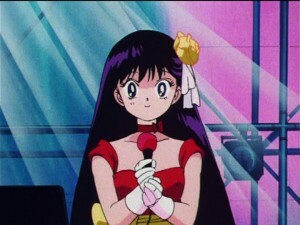 In the original Japanese version Rei performs the song Eien no Melody which is translated here into English as Eternal Melody. 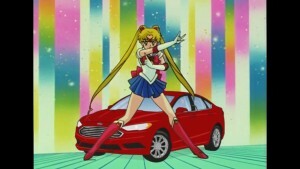 In the original DiC dub of Sailor Moon had the song Oh Starry Night included, which has roughly the same melody as the original song but very different lyrics. 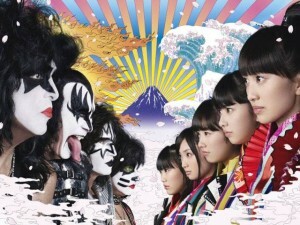 The other song performed is Hottokenai Yo or I Can’t Leave Her Alone though only a short part of it is heard.